October 11, 2017, 6:30 p.m.
President Trump’s is expect to decertify Iran’s compliance with the 2015 agreement that lifted sanctions on Iran in return for setting limits on its nuclear development. Doing so would set the United States apart from several of its allies, like Great Britain, which have certified Iran’s compliance. It would also set the President apart from the US public. The latest Economist/YouGov Poll found most Americans, including members of the President’s own party, in support of the agreement. 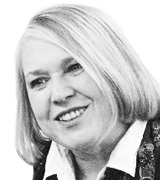 Support for the agreement doesn’t mean Americans like or trust Iran. 44% regard the country as an enemy of the United States, and only 6% think Iran is a nation friendly to the United States. A majority of 52% say that country is a serious threat to the United States, with Republicans even more likely to be concerned – 77% of Republicans describe Iran as a serious threat. And only one in four believe Iran can be even somewhat trusted to stick to the agreement that limits its ability to produce a nuclear weapon. Still, most of the public supports the agreement. 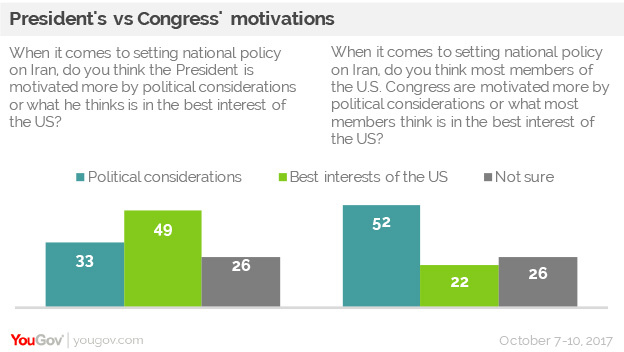 One possible reason for the general willingness to continue the Iran nuclear agreement is that many Americans don’t believe presidents can pick and choose which previously negotiated international agreements they will follow. More say they need to follow those agreements. But many Republicans disagree. 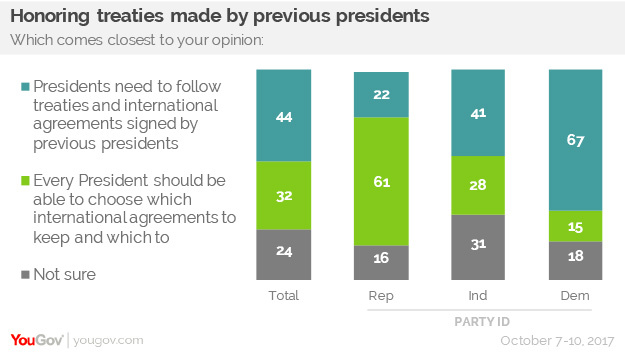 While Democrats and independents say the president needs to follow earlier treaties, by three to one Republicans say every president can pick and choose which prior agreements will be followed and which ignored. The President gets the benefit of the doubt when it comes to assessing his motivations in making policy about Iran. In fact, he fares much better than Congress in public estimation. Americans narrowly think Mr. Trump is motivated more by the country’s best interests than by political considerations – and they look at Congress as more likely to be worried about politics. 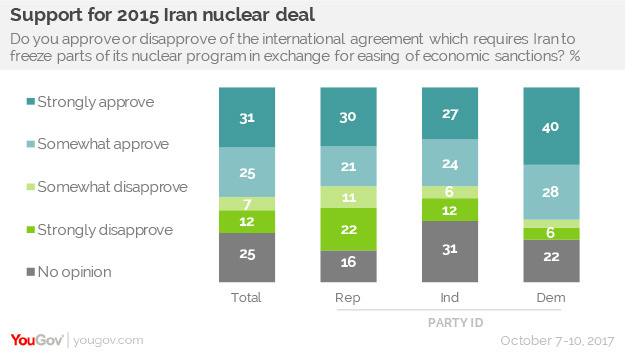 However, when it comes to approval of the President’s handling of Iran, Americans are divided. 38% approve, 39% do not. One reason that Congress is so negatively evaluated is that both parties agree its members act on political motives. By more than six to one, Republicans believe President Trump is acting in the nation’s best interests, while Democrats (by nearly four to one) disagree. Congress has few defenders in either party. In this week’s Economist/YouGov Poll, only 8% approve of the way Congress is handling its job, its lowest rating this year.